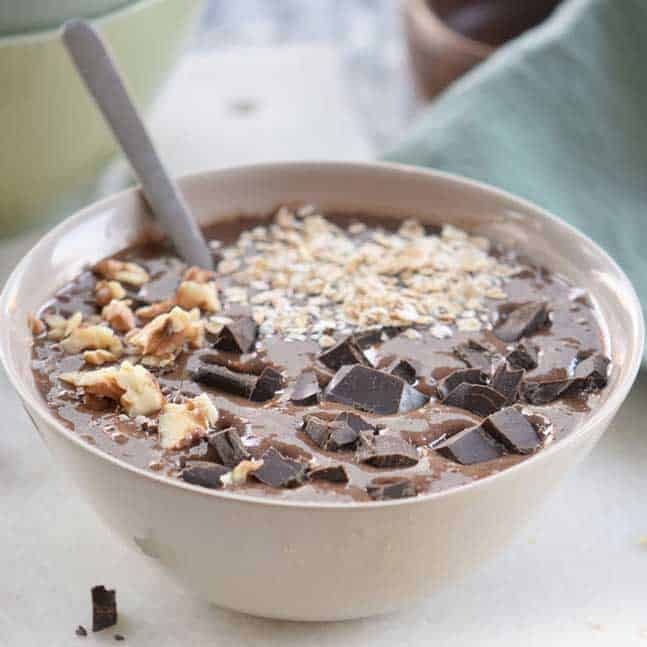 This Healthy Chocolate Smoothie Bowl Recipe is right up my alley. 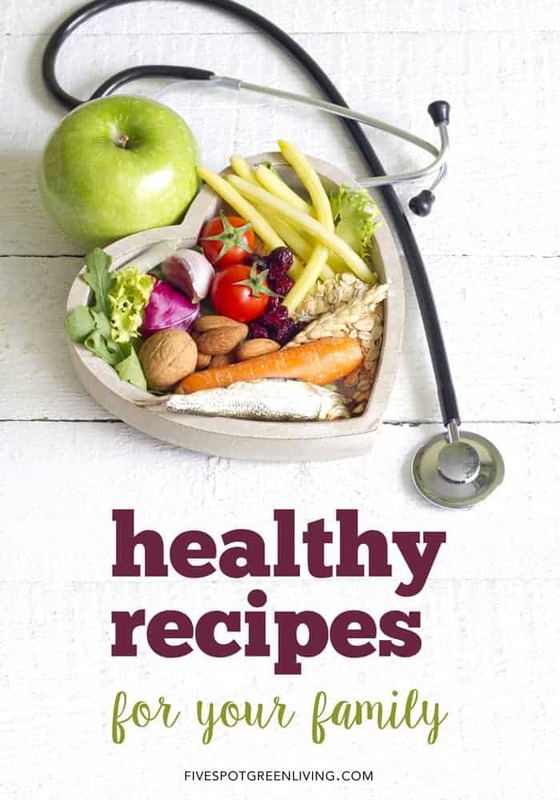 Hits that proverbial sweet tooth but also owns the right to be listed in my healthy recipes index. Lately I have been feeling like my diet is in flux. I’ve been hovering between vegan and vegetarian but in the end, I am trying to eat healthy. But I can’t discount my sweets. Oh boy, what’s life without chocolate am I right? Okay, seriously, how much better can this get? Knowing my kids, they would want to put whipped cream on top, but I would allow that given the ingredients included in this Healthy Chocolate Smoothie Bowl Recipe. It’s ok by me because they usually eat really healthy snacks. It’s very comforting to be able to still have good food even with a sensitivity to dairy. This is so new to me and I can’t say I’ve completely accepted this fact, but there it is. I can’t enjoy my nightly bowl of cereal. I can layer my quesadilla in cheese and sour cream. I can’t enjoy my kids favorite meal of pasta, veggies and alfredo sauce. What has become of me? I feel as though it’s mostly my age. You hit a certain age and things start to change. Your doctor calls because suddenly you need an additional test with your annual checkup. You can’t eat the way you used to. Sometimes, oh boy yes, sometimes you even pee a little when you sneeze or cough too hard. God help me but it’s happened. 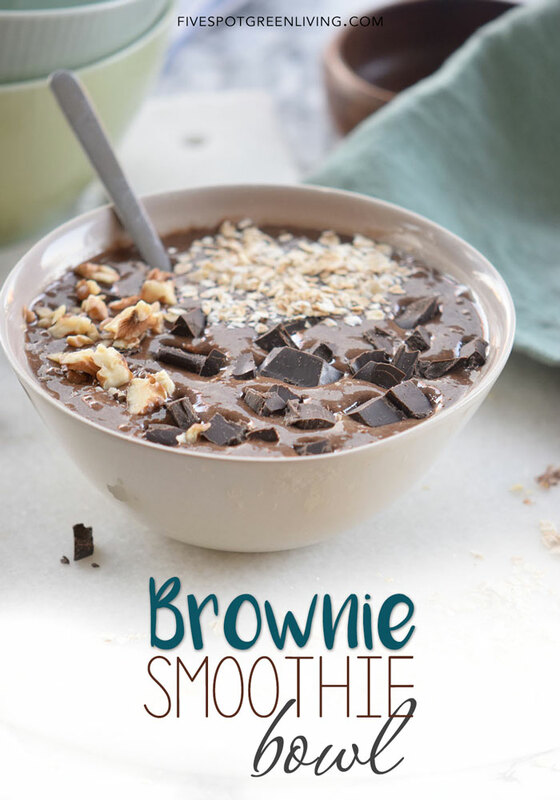 So regardless of whether you are as old as me, you will definitely enjoy this Brownie Smoothie Bowl Recipe. Holy moly it’s all oatmeal and almond milk and good stuff! You could even add a bit of PEANUT BUTTER to it! Wink. In a pot over medium-high heat, heat the milk and melt 2 cups of chocolate chunks. Incorporate 1 cup of the oats and cook until desired consistency. Incorporate the cocoa powder, greek yogurt, and bananas pieces. Divide into bowls and garnish with the remaining chocolate chunks, oats, and walnuts. Add honey or maple syrup to make it sweeter. If you aren’t one for rich decadent chocolate first thing in the morning, then try this fruity yogurt Breakfast Smoothie Bowl from The View from Great Island! By the way I’m 54 pee when I sneeze it’s called abuse of down below and having pushed two whopping babies and carried two more shoppers , they escaped through the sun roof. 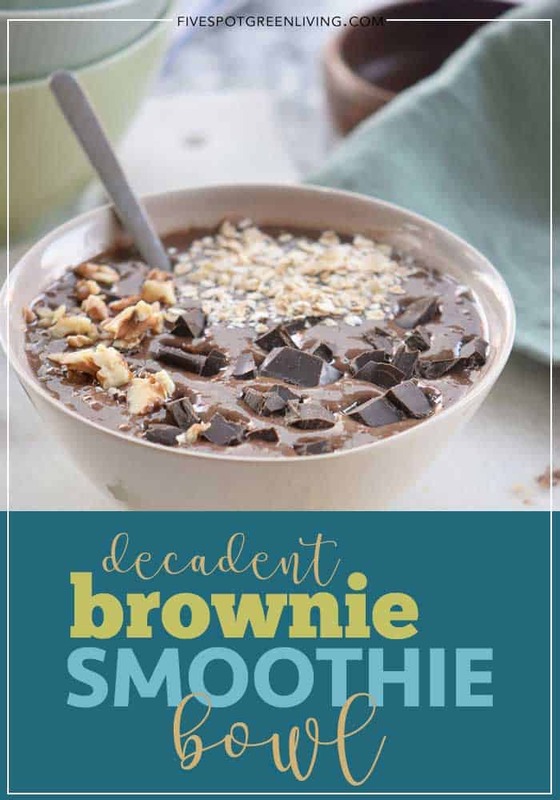 Mmmm, I love the idea of a brownie smoothie bowl!! I do have a question, how much Greek yogurt do I use? And how many servings is this recipe? Thanks!! 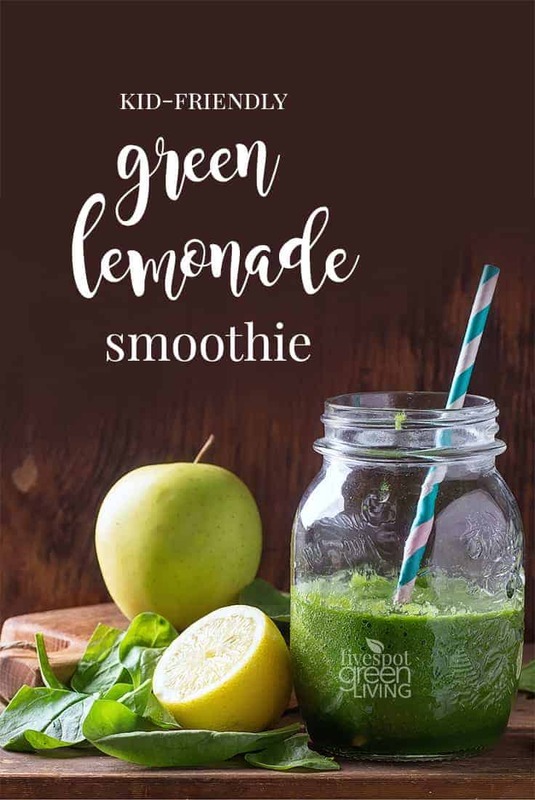 Being on a diet I really needed a fix for my sweet tooth and this popped up on Pinterest so I had to try it – DELICIOUS and healthy a real bonus. 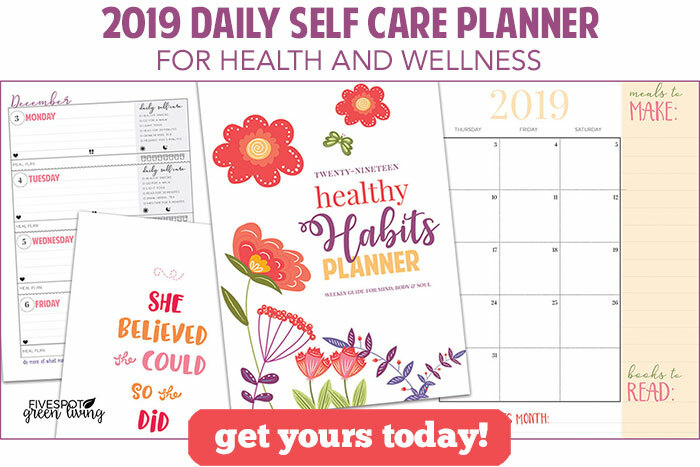 What a great way to calm the cravings and stay on diet as well. Thank you. As soon as I saw Brownie, I knew I had to try it! This was ah-mazing! My son could not get enough! Oh.My.GOODNESS! I can’t tell you how much I loved this smoothie bowl. It was so good! 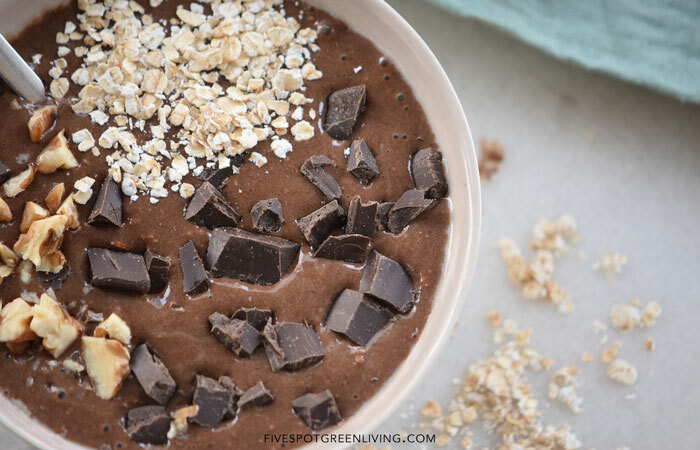 This scrumptious Brownie Smoothie Bowl really hit the spot! Lately I’ve been craving chocolate morning and night and this delicious recipe tamed my chocolate craving. 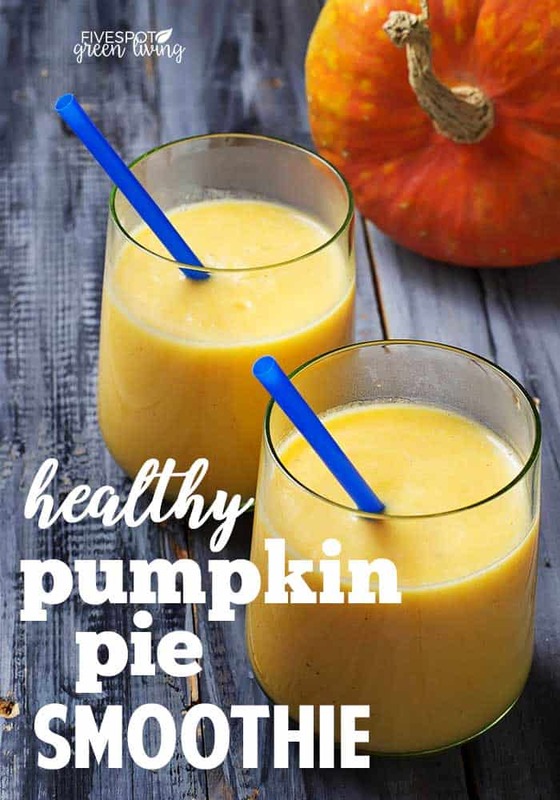 I’m sharing this fabulous recipe with my friends! Thanks a lot. My kids want this every day now. 🙂 Seriously, this is a great new idea for breakfast or even an after-school snack. I love how decadent this taste… my kid never suspects its actually good for her! Total mom win! This totally saved my diet. It totally kicked my chocolate craving with no guilt. My kids were begging for one! This is going to have to go on my “diet” desserts recipe list. So yummy!